There is possibly nothing crueler in this world than laying your healthy baby down to sleep only to find them the next morning cold and lifeless. And then to get the diagnosis of SIDS, or Sudden Infant Death Syndrome–is just salt in the wound. After all these years–no scientist, no one in the medical community, no pathologist–knows what causes a healthy baby to suddenly pass away in his or her sleep. Yet somehow, scientific consensus says without a doubt that vaccines are not associated with sudden infant death. We don’t understand the universe, let alone the immune system. I doubt we can be so certain about something that is beyond our grasp. In 2015, there were 3,738 apparently healthy infants under the age of one who died in the United States from either SIDS, Accidental Suffocation and Strangulation in Bed (ASSB) or Unknown. 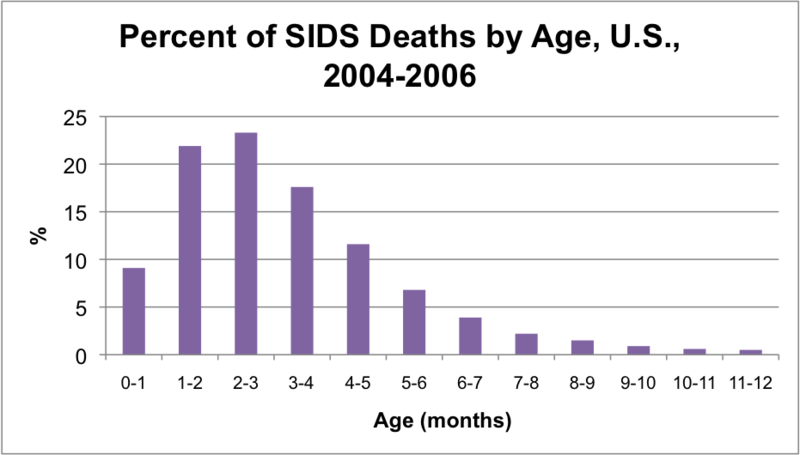 SIDS is the leading cause of postneonatal infant mortality (infants from one month to 11 months). Together these three classifications of infant death make up Sudden Unexplained Infant Deaths (SUID). In children over aged one, there are around 400 deaths classified as Sudden Unexplained Death in Childhood (SUDC) every year. It may be considered rare, but an infant or child dies every two hours of SIDS or other sleep-related causes. In 1991, SIDS was redefined to include ‘death scene investigation’ (a few years before the “Back to Sleep” program launched), and the age was lowered from under two years, to under one year. Consequently, deaths attributed to other causes saw an increase, namely “Accidental Suffocation and Strangulation” (ASSB) and “Unknown“. This is known as diagnostic transfer. Recently, more and more medical examiners are phasing out the term SIDS, some are using “Undetermined”, “Unknown”, bronchopneumonia, or even a combination, SIDS, secondary to interstitial pneumonia, for example. The general debate and confusion regarding SIDS and suffocation has been going on for decades. In the 1940’s pathologists like Abramson and Werne and Garrow rejected the idea that a healthy infant could accidentally suffocate by his bedclothes or by himself. By definition SIDS is not accidental suffocation, but when one cause of death goes down, the other goes up. Diagnostic transferring continues and confuses any attempt at reliable statistics. At autopsy it can be difficult to differentiate SIDS from accidental suffocation or inflicted suffocation, as there is diagnostic overlap between these different causes. Medical examiners also exercise subjectivity in assigning cause of death, and may assign the same death differently. What we think we know about SIDS may be truly compromised. One thing is for sure, since the late 1990s, the rate of SUID has remained virtually unchanged, despite numerous efforts to reduce sudden, unexplained, sleep-related infant deaths. For decades researchers have been grasping at straws looking for clues, swept up in a pre-occupation of risk factors. Are babies who die of SIDS different than babies who do not? 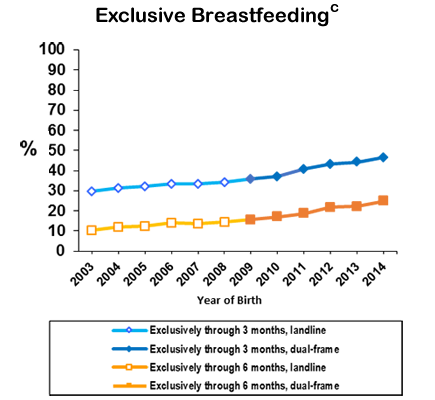 Risk factors like parents who smoke during and after pregnancy, prone sleeping position, male gender, peak age at two to four months, cold season, minor respiratory infections, low socio-economic status, formula-feeding, lower immunization uptake, bed-sharing on a sofa, and parental intoxication are found in greater frequency in SIDS infants, compared to living control infants. What’s more confusing is that some of these are also risk factors for accidental suffocation. However, a risk factor is not a cause. Many infants are diagnosed with SIDS who have perhaps only one, or even no risk factors. Some infants who die of SIDS are children of smokers, and some are not. Some infants are found in a prone position, and some are found in a supine position. Some infants are in bedsharing situations, and some are alone in their crib. Some infants are from wealthy families, and some are from impoverished families. There are infants who have every single risk factor of SIDS, yet grow up to be thriving adults. How many parents have sat on a couch and watched a movie, while their newborn slept on their chest? I mean, come on. If fewer infants are exposed to the classical ‘SIDS risk factors’, why are the same amount of infants dying every year? There are so many parents who do everything ‘right’, it doesn’t make any sense. Technically speaking, the SUID rate increased from 2014 to 2015. What are we missing? More Babies Sleep On Their Backs, Yet SIDS is Still the Leading Cause of Death? Today, about 80 percent of infants are placed on their backs (supine) to sleep every night. In the early 1990s the percent of back sleeping infants was 13 percent. Since 1992, the prevalence of placing an infant on their back has increased 519%, but in the same time period, deaths attributed to SUID have only decreased 38%. Frustratingly since 1999, the SUID rate has decreased only 3%. Prone position was found to be positively associated with SIDS during most of the research of the 1990s and early 2000s because more infants who died of SIDS were found in the prone position compared to controls. Now that less infants are placed prone, more and more SIDS infants are found in the supine and side position. However, the evidence that prone increases the risk for SIDS is not conclusive because no one knows why or how the babies die. By definition, it cannot be suffocation. It also doesn’t explain why or how so many SIDS deaths occur in the supine position. And why SIDS is still a leading cause in populations of infants where as little as 4.1% of infants sleep in the prone position. “Back to Sleep” launched in 1994, recommending that infants be placed to sleep on their backs, rather than their stomachs. The campaign is often credited with significantly reducing deaths due to SIDS, however during the same time period, many deaths actually shifted to other causes, for example, “ASSB”, “Unknown”, asphyxia, and interstitial pneumonia. If we look at the overall drop in infant mortality from 1980 to 2014 (pic below), there is a 36% reduction in infant deaths prior to 1994, and a 27% reduction after 1994. Neonatal infant deaths dropped 40% from 1980 to 1994, and afterwards have only dropped 23%. While reducing any percentage of infant deaths is still a win-win, the question remains why are reductions in infant death slowing down, when theoretically they should be dropping more–if “Back to Sleep” is truly preventing infant deaths. Some studies found a more significant risk of infants sleeping prone when combined with recent illness (9.3 (2.5-35), verses those sleeping prone without recent illness (1.6 (0.5-5.2). Infection is a major yet often neglected area of research in SIDS, and it’s relationship to prone sleeping position may be more important than merely a baby sleeping on their stomach. There are other differences that aren’t explained by the asphyxia hypotheses: the gut microbiome differs significantly between SIDS and control infants; infants found prone were more likely to be colonized by S. aureus than comparison babies; and the nasopharyngeal flora differs significantly between SIDS infants and controls. There are many pathological findings in SIDS which will be explored in the next article. Not every infant found prone or face down is a result of SIDS. Some infants truly do tragically die from suffocation. For example, in this study, nineteen out of 23 infants (sleeping face down on bean bags) received a SIDS diagnosis, yet upon re-assessment, the majority were deemed to be caused by “Accidental Suffocation.” And only two out of 26 presumed SIDS cases were evaluated to be SIDS, after a careful examination of the death scene was conducted for 26 consecutive infants deaths brought to the emergency room of the Kings County Hospital Center. In a hospital setting, prone position is often preferred for premature infants because it reduces episodes of hypoexemia, improves lung function and reduces apnoea of prematurity. A baby sleeping prone, skin-to-skin on his or her mother’s chest is vital in those early months. In this study, infants who slept alone had a 176% increase in autonomic activity and an 86% decrease in quiet sleep duration compared to skin-to-skin contact. Supine sleep may even be a factor in the increasing trend of autism. If prone sleeping position truly increases the risk of SIDS, as infants sleeping on their stomachs becomes a thing of the past, why aren’t we seeing a drop in SUID? Another major risk factor that has been identified for SIDS is maternal and parental smoking. Maternal smoking was found to increase the odds of an infant dying of SIDS 2.6 times over non-smokers. Nicotine is just one of the 4,700 known toxins in cigarette smoke that could have protracted effects on embryonic development and postnatal growth. It’s all highly neurotoxic and immunotoxic. Smoking around a baby increases the likelihood of respiratory tract infections. Even the colostrum and the breastmilk of smoking mothers has lower concentrations of certain cytokines (immune cell signaling proteins), which might increase a newborn’s susceptibility to infections. Smoking is just bad news. 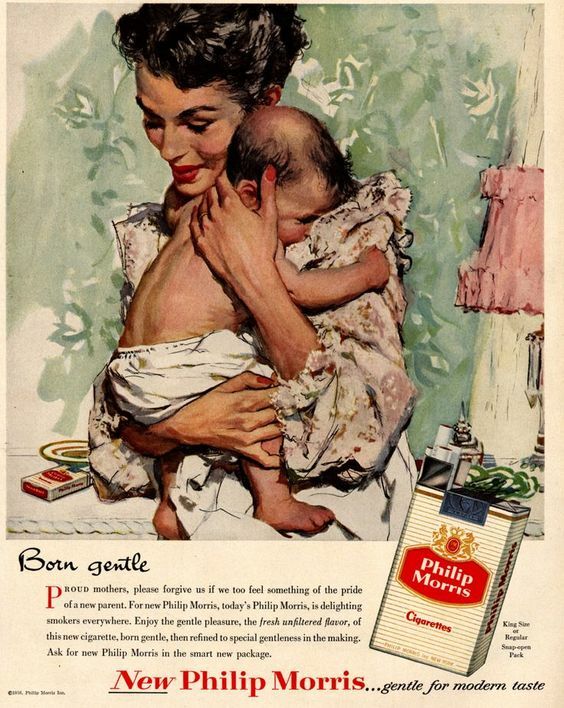 Back in the 1940s and 1950s, cigarette smoking was not thought to be dangerous, not even for pregnant women. Nearly half of all adults were smokers (probably every one had a smoker in the home). At the peak of the baby boom in 1946, a record breaking 3,288,672 live births were recorded. 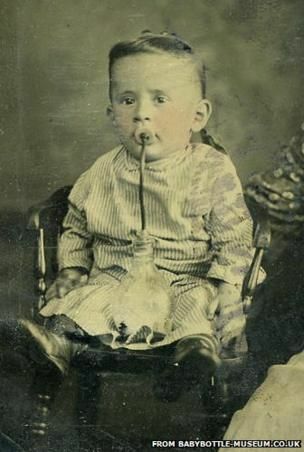 That year there were 1,344 infant deaths attributed to “Accidental Mechanical Suffocation”. 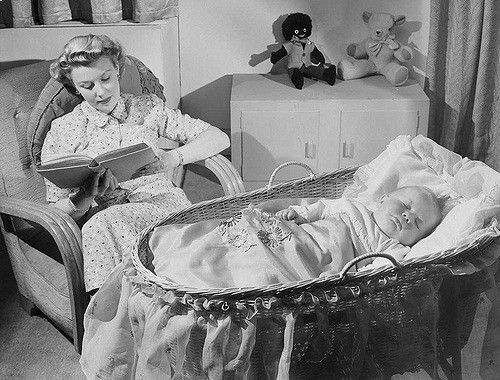 It was not until the late 1950s and 1960s when “crib deaths” finally grabbed everyone’s attention, yet it was not defined until 1969 and it wasn’t added as a separate cause of death until 1973. In recent years, maternal smoking rates have decreased substantially. The most recent survey by the CDC, 7.2% of women who gave birth smoked cigarettes during pregnancy in 2016. It may be 7% too high, but it’s still 50% lower than where we were 20 years ago. And in the last 20 years, the rate of SUID has dropped than 3%. The role that smoking plays in SIDS is not fully understood. It also doesn’t explain why infants who are not around smoking also succumb to SIDS, and show similar brain changes. Nicotine binds to nicotinic cholinergic receptors, and can produce the same overstimulation. Acetylcholine itself binds to both muscarinic and nicotinic acetylcholine receptors. The cholinergic system (parts of the body that uses acetylcholine) is associated with a number of neurological diseases such as epilepsy, dementia, cerebral ischemia, hypoxia, and neurodegenerative disorders such as Alzheimer’s disease. What does this have to do with a baby? Acetylcholine is the neurotransmitter that helps you breathe, and controls your heart rate. During stress or inflammation, the vagus nerve alerts the brain and signals the release of anti-inflammatory neurotransmitters. In the immune system, nicotinic acetylcholine receptors regulate inflammatory processes and signal through distinct intracellular pathways. “This system is responsible for maintenance and optimization of the cellular function, such as proliferation, differentiation, adhesion, migration, intercellular contact and apoptosis. The vagus nerve–also known as “wandering nerve,” (because it’s the longest nerve of the autonomic nervous system) is the tenth cranial nerve that interfaces with parasympathetic control of the heart, lungs, and digestive tract–is what releases acetylcholine. The vagus nerve modulates the innate immune system, as well as also the adaptive immune system. In SIDS infants, the vagus nerve was found to be relatively immature. An increase of acetylcholinesterase enzyme was found in the heart, which is an enzyme that breaks up acetylcholine into acetate and choline. A reduction of choline acetyltransferase immunoreactivity in the medulla of SIDS infants. SIDS infants have decreased expression of a7b2 nicotinic acetylcholine receptors in brainstem nuclei that control respiration and arousal, which is independent on prior history of cigarette smoke exposure. These are the same a7b2 nicotinic acetylcholine receptors that are abnormal and implicated in the etiology of Alzheimer’s disease. SIDS infants have reduced muscarinic binding in the arcuate nucleus. Neurochemical abnormalities of the cholinergic system are also implicated in developmental disorders such as autism. The question is, could the vagus nerve and cholinergic system be affected or disrupted by other toxic chemicals in an infants environment? Do we know how ethyl-mercury, aluminum hydroxide or aluminum phosphate–the common adjuvants used in routine pediatric vaccines–affects the cholinergic system of a developing infant? Are we sharing that information? Could this explain why or how non-smoking SIDS occurs? Does this explain why SUID has not decreased despite fewer mothers smoking, a sort of chemical transfer. One chemical wanes in prevalence while other chemicals who have similar binding capabilities increase in prevalence, thus we do not see the decline in sudden infant death that we should be seeing? Breastfeeding is what we have done for thousands of years. For decades we have been aware that bottle-feeding was associated with “cot death”. Every study that looks at breastfeeding (there are many, many studies) show that breastfeeding exclusively for as little as three months reduces the risk of SIDS by half. Another way to say it, a formula fed infant is twice as likely to die of SIDS. Breastfeeding’s role in lowering the risk of SIDS may be due to many reasons: breastfed infants are more easily roused from sleep, nurse often throughout the night, and are also getting maternal antibodies (protective cytokines and immunoglobulins) that would help build up an infant’s immune system, as well as combat any infection that is often associated with SIDS. This may be one reason why SIDS is rare in the first month of life, when an infant is most vulnerable: because of passive maternal immunity bestowed through the placenta and in the postpartum period, through breastfeeding. Breastfeeding is so powerful that it has even made certain vaccines less effective. Breastmilk is a living food, whose ingredients are perfectly tailored for each nursling throughout each developmental stage, and are full of probiotics, prebiotics, hormones, active enzymes, antibodies and more than 400 other unique components. For an eye-opening, jaw-dropping list of what is in breastmilk, look here. Formula feeding is a relatively new phenomenon. For centuries, infants were breastfed by their mothers or wet nurses. By the mid-1800s artificial formula and bottle feeding became more widely available. Early formula often contained cow’s milk, cream, sugar, water, wheat and malt flour, and potassium bicarbonate. 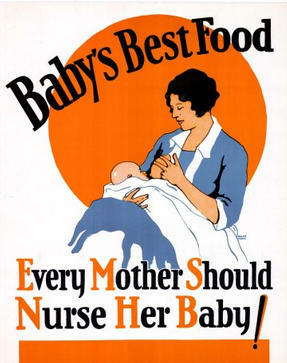 The early powdered formulas, for those who could afford them, and the evaporated milk of the early 20th century were no match nutritionally to the benefits of breastfeeding. These early formula fed infants had a much higher rate of scurvy and rickets, were more prone to respiratory illnesses and bacterial infections and had a higher death rate than breastfed infants. Over the past few decades more and more mothers are breastfeeding. So shouldn’t we be seeing a drop in SIDS? Bed-sharing too often gets a bad wrap, but evolutionarily speaking, bed-sharing is what we have done for…millions of years (dating all the way back to our Paleolithic ancestors) because it, well, makes sense. 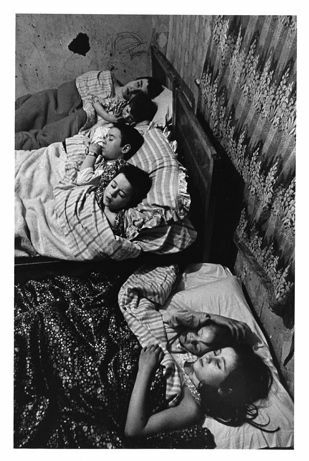 Living in dwellings where everyone has their own bed and bedroom is a very recent convention. Sleeping close to your young, whether they are in the same bed or right next to the bed in their own defined crib, allows for breastfeeding throughout the night, is protective, and allows parents to take care of all the emotional and biological needs of their young child. Many studies show that bed-sharing in the absence of drinking alcohol, smoking, drugs, or on unsafe surfaces like a sofa, does not increase the risk of SIDS, and was even protective for older infants. The risk is clearly associated with the alcohol, tobacco, and the sofa combination. Room-sharing is said to halve the risk of SIDS. Being close to your child is a good thing. One of the champions of the “Back to Sleep” movement in the UK, Peter Fleming wrote in 2015 “such close contact has benefits for the baby, including facilitating breast feeding, and even in modern Western societies infant mortality is significantly lower among breast fed infants.” He illustrates the distinction between hazardous forms of bed-sharing (while intoxicated, smoking, or on very soft, fluffy surfaces), and safe forms of bed-sharing (which may encourage breastfeeding). Think about it, every mammal sleeps with their young from birth and for centuries, humans have been no different. There is no animal model for Sudden Infant Death Syndrome–it doesn’t exist in any other species. Japan, for example, has a much higher bed-sharing and co-sleeping rate than the US, and a much higher breastfeeding rate than the US, and has one of the world’s lowest SIDS rates and one of the lowest infant mortality rates in the entire world. Breastfeeding and bed-sharing go so well together, James McKenna, PhD, author of over 140 scientific articles, as well as the book, Sleeping with Your Baby: A Parent’s Guide to Co-sleeping, calls it breastsleeping. More bed-sharing and breastfeeding does not equal more SIDS when done thoughtfully and safely. Again, it doesn’t answer the question as where has SIDS been all these thousands of years when family bed-sharing was typical. Overlaying deaths (one here and one there) do not account for the surge in SIDS today. And why is SIDS more rare in countries, like Japan, who bed-share more? There are studies (as well as meta-analyses) that suggest that infant vaccination halves the risk of SIDS. They suggest that infants who die of SIDS are immunized less frequently than their living controls. They reassure us that it is merely coincidental–a temporal and not causal association–that the SIDS timeline and the recommended vaccination schedules line up perfectly. The majority of SIDS occurs before six months of age, with the majority of deaths clustering between two and four months of age, which are the same months that infants get routine vaccinations, including: hepatitis b, rotavirus, diphtheria, tetanus, & acellular pertussis, haemophilus influenzae, pneumococcal conjugate, inactivated polio, and meningococcal. If vaccines really do protect against SIDS, and even as much as halve the risk, then as our infant vaccination coverage increases, we should be seeing a significant decline in SIDS–right? From 2009 to 2016, the vaccination coverage of the 7-vaccine series (DTaP, Polio, MMR, and Hib) increased a whopping 62 percent. The DTaP increased from 81.7% in 2000 to 93.7% in 2016 (for three doses), and polio increased to 91.9%. Heck, you would be hard-pressed to find an unvaccinated newborn, nearly 71.1% of the infants in the US are vaccinated on the first day of their life with the hepatitis b vaccine, and a total of 90.5 percent complete the three-dose series. How many infants actually have no vaccinations? Less than one percent (.8 percent). Less than one percent of infants in the United States receive zero vaccinations. Even before they’re born, over 54 percent of infants are vaccinated in utero when their mother’s consented to a Tdap vaccination in 2015. Less than one percent of pregnant women received the Tdap vaccine before 2009. About 50 percent of pregnant mothers also received a flu vaccine in 2015. The whole world’s infants are vaccinated. In 2016, 86% of the worlds infants had received three doses of diphtheria-tetanus-pertussis (DTP3) vaccine. And 130 countries had reached at least 90% coverage of DTP3 vaccine, according to WHO. Unfortunately, more vaccinations does not translate to increased health. The states with the highest immunization rates, like Mississippi and Maine, also very some of the nation’s highest infant mortality rates, rivaling third world countries no less. Even taking the United States as a whole, more infants die on their first day of life in this country than any other industrialized country. Not only that, our nation spends more money on health care than any other country in the world, even 50 percent more than the next-highest spender (France), and we have one of the highest SIDS rates on the planet. Nations that have a lower infants mortality rate and a lower SIDS rate like Japan, also have a more modest vaccine uptake—many are voluntary as opposed to recommended. They don’t have the MMR, but administer them separately. They don’t vaccinate infants when they are sick or when they have a body temperature over 99.5 degrees. Japan also created the first acellular pertussis vaccine and began using it a good 15 years before the US caught on. While they do have a higher incidence of vaccine preventable diseases–with a lower infant mortality rate, lower SIDS rate, and longer life expectancy–maybe our shortcuts to health are crippling us in the end? Today, over 90% of infants are vaccinated within a day or the first few weeks of their life in the United States. The studies that declare that vaccines have the risk of SIDS are over 20 years old, when infants were not vaccinated at birth. If non-immunized infants experience SIDS more frequently than immunized, then how do we make sense of the same amount of sudden, unexplained infant death despite: an extremely vaccinated population, more breastfeeding, less smoking, and more infants placed supine? And how do we explain that neonatal deaths attributed to these causes (SIDS, ASSB and Unknown) are increasing? In 2015, the neonatal period accounted for 13 percent of these deaths, when historically, it has been under 10 percent. The Confidential Enquiry into Stillbirths and Deaths in Infancy (CESDI) was established in 1992 to improve understanding of and reduce infant death in the United Kingdom. Fleming et. al. looked at immunization coverage of SIDS infants (n=303), and found that only 49% of the infants had any immunizations. Because the control infants had a higher rate of vaccination (67%) he concluded that vaccines halve the risk of SIDS (0.48 (0.37 to 0.63). However they did not confound for important risk factors like maternal smoking (61% of the mothers smoked), alcohol consumption (index mothers were twice as likely to have more than three drinks in the last 24 hours), illegal drug use (index mothers were 4 times as likely to use illegal drugs during pregnancy as controls), all of which were found in previous CESDI studies to be significant risks factors. A SIDS infant from this study was 8 times more likely to be exposed every day to 8 hours of cigarette smoke than control infants. And half the parents were unemployed, including a high proportion of single mothers. The mothers of the SIDS infants were 4 times more likely to have lost a previous infant over controls. That the protective mechanisms of vaccines diminished once they controlled for sleep environment, such as prone “or” bedclothes over the head, makes me wonder what the results would be if they controlled for bed-sharing while intoxicated, maternal smoking, drug use etc. Does an immunized SIDS infant share the same risk factors as an non-immunized SIDS infant? Does smoking work synergistically with vaccinations, or does vaccinations explain why non-smoking SIDS occur? Or why supine deaths occur? Historically, SIDS is rare in the first month. Yet the CESDI study has sixty percent of the ‘non-immunized SIDS’ cases are infants under two months old (n=93). Of the non-immunized SIDS over two months old, 26% of them scored >7 on the Baby Check, (suggesting that medical advice or attention would have been required) in the 24 hours before death. 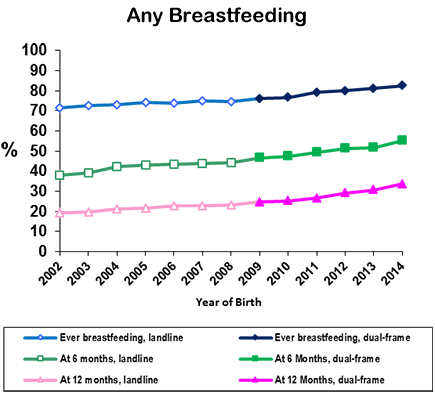 The CESDI study “Epidemiology of SIDS and Explained Sudden Infant Deaths” age distribution. Twelve percent of SIDS are under 2 months, verses five percent in the German study below. There are 124 non-immunized infants under the age of 13 weeks who died of SIDS, while only 30 were over 13 weeks old. Wait, why does class II exist? Are those true SIDS? If there are findings that contribute to ill-health and death, please share what those are. And, precisely how many of these infants had the classical pathological features of SIDS: intrathoracic petechial haemorrhages; congested heavy organs; liquid, unclotted blood in the heart; inflammatory infiltrates; muscle necrosis? 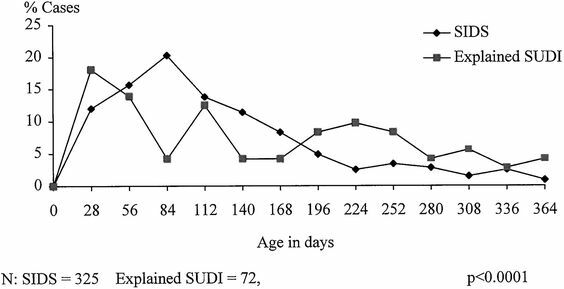 And why or how are such a large proportion of these SIDS infants under 13 weeks, and under 2 months, when typically SIDS in the first month of life is rare? I would love to know, of the non-immunized SIDS–all 93 of them under the age of two months: what were the conditions of their death? How did their exposure to smoke, drugs, unsafe co-sleeping compare to those infants who were older, or immunized? 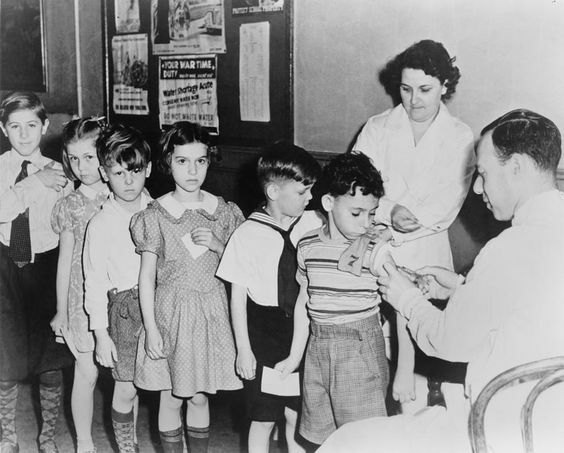 During those years in the United Kingdom, vaccine uptake in infants under 12 months was 92.5 percent for HIB vaccine; 93 percent for Diphtheria; 93 percent for polio; 90.7 percent for Pertussis; and 93 percent for Tetanus. And yet this group of SIDS had an immunization rate of 49%. Even their controls were vaccinated far less than the national average. A subsequent “detailed re-analyses show that the risk of SIDS in vaccinated cases and controls is neither increased nor reduced during the early post-vaccination period.” (Kuhnert et al.) The reanalysis only looked at vaccinated infants in a self controlled case study (SCCS). If there were no association between SIDS and vaccination, then why is there an elevated risk period after vaccination? These are days past vaccination, the infants are all different ages. Fleming’s 2009 study found in comparison to controls, infants who were diagnosed with SIDS had mothers who were 41 times more likely to have consumed more than two drinks of alcohol in the last 24 hours; were 21 times more likely to have shared the parental bed or sofa for last sleep; they were 13 times more likely to have mothers that smoked during pregnancy; they were 10 times more likely to be sleeping with a pillow; 6 times more likely to be sleeping prone; and 8 times more likely to have fair or poor health in the last 24 hours of their life. It kind of seems like they want us to believe that a sickly infant who is found unresponsive next to a smoking, intoxicated parent on a sofa (who may have lost a previous infant) is dying from the exact same mechanism as a healthy, full-term, breastfed infant without any risk factors a week after their routine vaccinations. While both instances are absolutely devastating and tragic, I don’t think they are the same thing. In October of 1958, Jed and Louise Roe’s six month old son Mark Addison Roe died suddenly in his bed, just two weeks after a doctor declared he was perfectly healthy. At that doctor visit Mark had a routine injection for diphtheria, tetanus and whooping cough, and his polio shot (link). Mark’s parents refused to accept their son’s autopsy report of “acute bronchial pneumonia”, and in memory of their son, they developed and funded the Mark Addison Roe Foundation, which would later become the National SIDS foundation. But it didn’t stop there. And sadly, it keeps going. Six-month-old Lucas Annikan Cage Shull passed away in his sleep of SIDS a few days after getting his very first round of vaccinations in February 2018. Retired MMA fighter Nick Catone and his wife Marjorie lost their healthy, thriving son Nicholas Catone at the age of 20 months just a few weeks after getting a DTaP vaccine in May 2017. One-year-old Michael Whitesell died three days after getting four shots in October of 2015. Five-and-a-half-month-old Matthew Gage Downing-Powers passed away less than two days after receiving vaccines against eight diseases in October 2013. Fifteen-month old Zara Antoinette Shiel passed away in her sleep the day after receiving her scheduled 15-month vaccinations in November 2014. Four-month old Nickson Pelton (two-months premature) passed away less than 12 hours after receiving vaccines for seven diseases in August 2012. His diagnosis was originally SIDS but his final autopsy report lists the cause of death as suffocation even though the report also states there were no blankets or any obstruction to cause his lack of oxygen. There are thousands and thousands of people telling the same story. Is anyone listening?